A Chinese security official who has been prominent in the counter-terror drive in Tibet and Xinjiang has been appointed as President of Interpol, raising concerns for intensified Chinese involvement in seeking to pursue and apprehend peaceful dissidents outside the PRC. Meng Hongwei, Vice Minister for Public Security and China’s armed police since 2004 and the first Chinese to hold the post, was appointed as President of the world’s largest police organisation, the International Criminal Police Organisation (ICPO or INTERPOL) last week. Rights organisations including ICT have highlighted the dangers of articles in China’s new counter-terror law that appear to authorise the Chinese People’s Liberation Army (PLA) and armed police to carry out operations in other countries, and that allow the transfer of people back to the PRC against their will. This is in the context of a history at Interpol of allowing its international database to be used by authoritarian governments to pursue critics; research by organisations including Fair Trials and Human Rights Watch has shown repeatedly that countries including China use Red Notices as political tools to persecute refugees, journalists, and activists beyond their own borders. Meng Hongwei has been directly involved in new counter-terror legislation and the dramatic expansion of the powers of military and police in Tibet and Xinjiang – backed by grass roots propaganda work and electronic surveillance. This comes under the general rubric of ‘stability work’, which is political language for the elimination of dissent and enforcement of compliance to Chinese Communist Party policies. 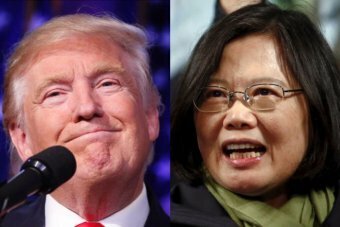 Under the leadership of the Chinese Party Secretary and President Xi Jinping, the Chinese government is enforcing a comprehensive legal framework which represents an attempt to legitimise through legislation existing repressive measures designed to intensify control by the CCP and suppress dissent. ICT has tracked various references to Meng Hongwei’s involvement in border security in Tibetan areas over the last few years including a tour to the border areas with Nepal in 2011 accompanied by the then Politburo security chief Zhou Yongkang, who is now serving life in prison for corruption. 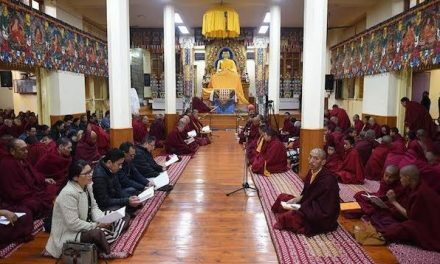 This was part of efforts by China to establish an entrenched and more systematic approach to constraining Tibetans in Nepal as part of its Tibet ‘stability’ strategy; the Chinese government’s current engagement with Nepal renders Tibetans increasingly vulnerable, both the few who seek to escape into exile, and the long-staying community. Greater cooperation between Chinese and Nepalese security forces, particularly since an agreement made in 2010, regarding intelligence sharing and border enforcement increases the threat of forced repatriation for Tibetans and raises concerns over Nepal’s commitment to ensure the safety of Tibetans transiting through Nepal. The visit by Meng Hongwei and Zhou Yongkang to Nepal a year after this agreement was signed was intended to strengthen bilateral cooperation still further, according to Chinese state media. Meng Hongwei also paid tribute to troops on Tibet’s border at a ceremony last year to mark efforts of troops deployed in earthquake relief. Meng Hongwei exhorted troops to: “Safeguard national unity, strengthen ethnic unity and focus on border security” in line with the policies set by the Sixth Tibet Work Forum, the first major policy meeting on Tibet to be presided over by Party leader Xi Jinping since he came to power in 2012. 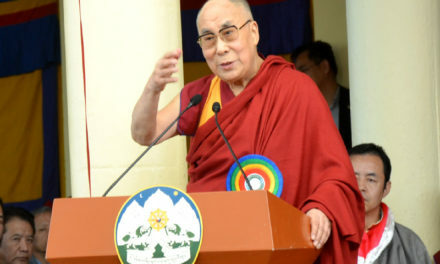 The meeting, in August 2015, specifically blamed the Dalai Lama for ‘anti-separatist’ activities, and underlined the importance of the Tibet issue to the Beijing leadership. In Tibet, despite the absence of any violent insurgency, new counter-terror measures that came into effect on January 1 (2016) have resulted in an expansion of militarisation across the plateau. 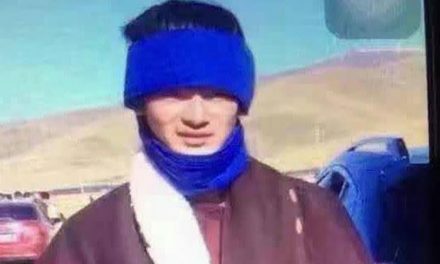 By conflating the expression of distinct religious and ethnic identities with ‘separatism’, and blurring distinctions between violent acts and peaceful dissent, the Chinese government is using counter-terrorism as a justification to crack down on even mild expressions of religious identity and culture in Tibet and Xinjiang. 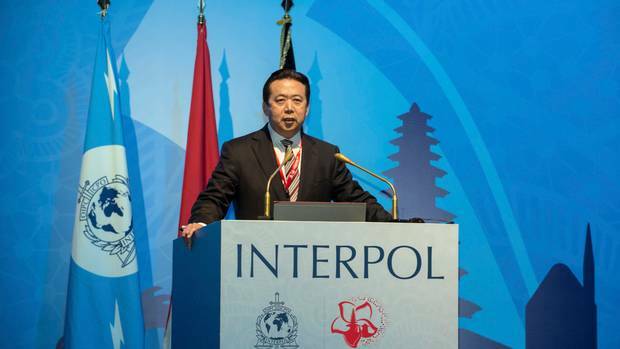 In the same week as Meng Hongwei’s appointment as President, the head of Interpol’s secretariat Jurgen Stock announced reforms in order to maintain confidence in Interpol due to abuses presided over by the organisation – which have included the return of Uyghurs to face persecution in the PRC. Details of the proposed reforms are not yet clear. Jago Russell, Chief executive, Fair Trials, told The Guardian: “Interpol should be judged by whether it continues to allow its systems to be used as a tool of persecution. If it fails to rise to this challenge, it will not only remain complicit in human rights abuse; but will also fail to meet the ‘highest legal standards’ that its outgoing president last week recognised as crucial to its “credibility, legitimacy and effectiveness”.